So I will be the first to admit. 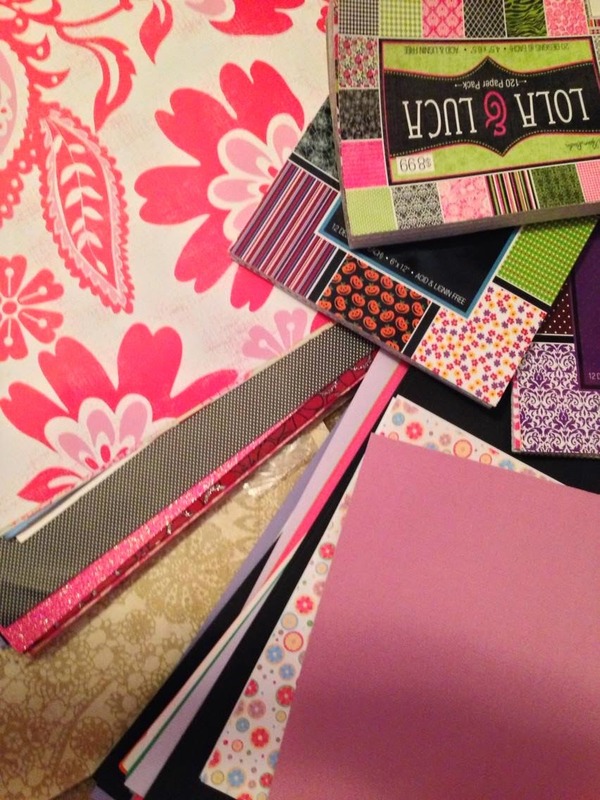 I had a craft supply crisis on my hands. 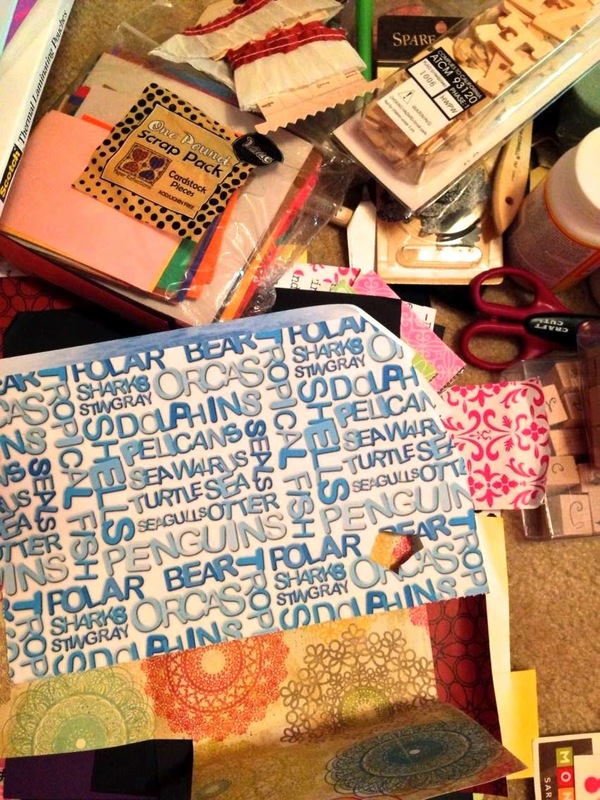 Amidst moves from place to place, classroom to home, and really just kind of throwing things into a common area over the years, my crafting supplies were truly a mess. In preps for moving in to our new place together as a married couple, I figured now is a better time than ever to finally get myself (and my supplies) together. 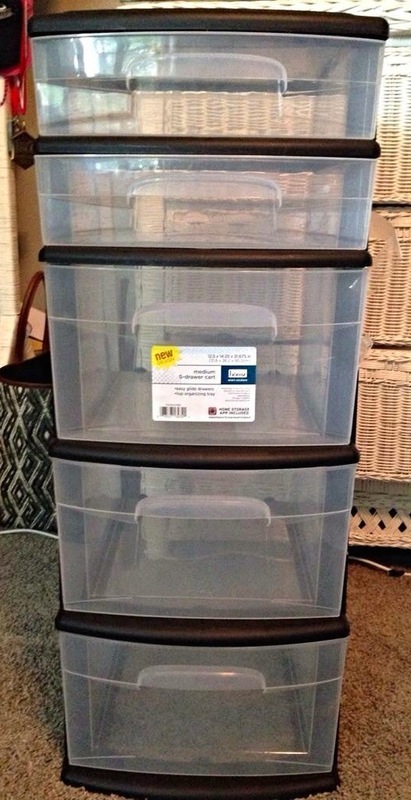 So...today the hubs and I went out and bought this beautiful piece of new furniture for me to begin storing all of my supplies. Alright, so while practical, not so beautiful, right? While these lovely little see through drawers were perfect in my college dorm room, they just don't quite do it for me on their own any longer. But the price was right, so I decided I could work with them! All it needed was a little TLC and a makeover with the help of some scrapbook paper and the supplies in the photo to the right. 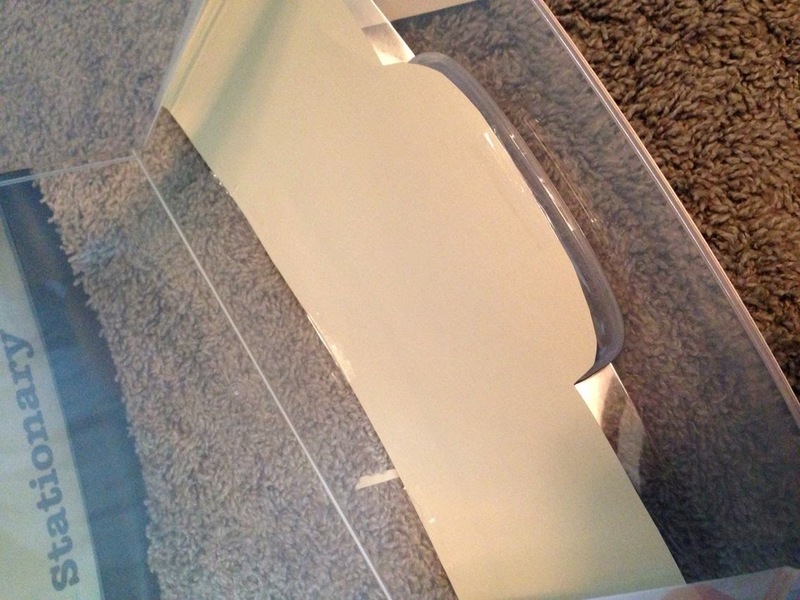 I started first with a sheet of wax paper and cut it to size to use as a template for the bottom portion of the drawer. I would show you a picture of this, but I think it it so much better explained by fellow blogger Maria from Kindercraze in a Youtube video she created here. This video definitely gave me a great start in template creation. 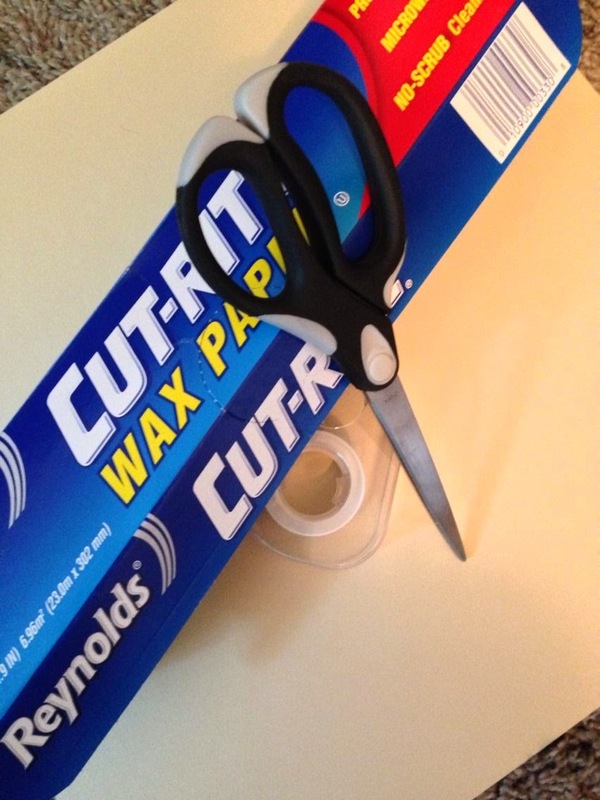 Once I finished cutting out my wax paper template, I then used it to help me in cutting my paper to fit perfectly along the contour of the drawer bottom. 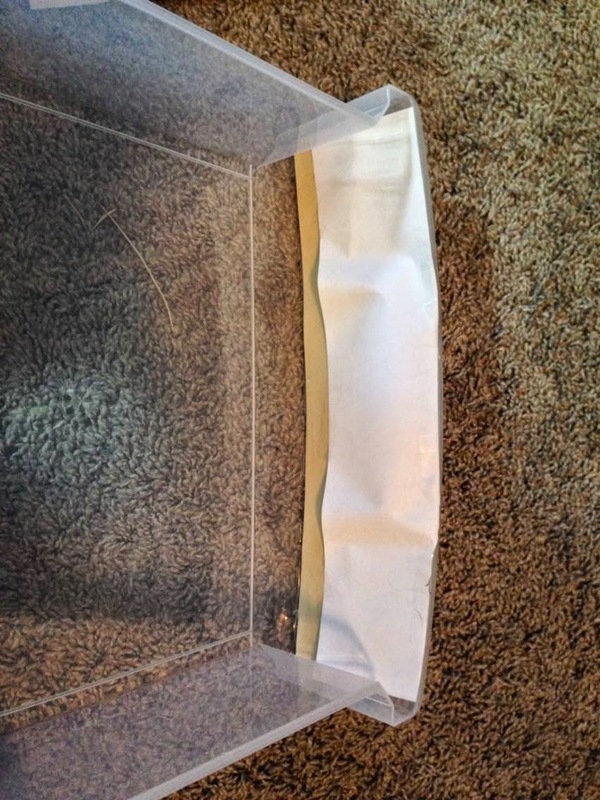 I elected to use transparent tape to hold my paper in place. 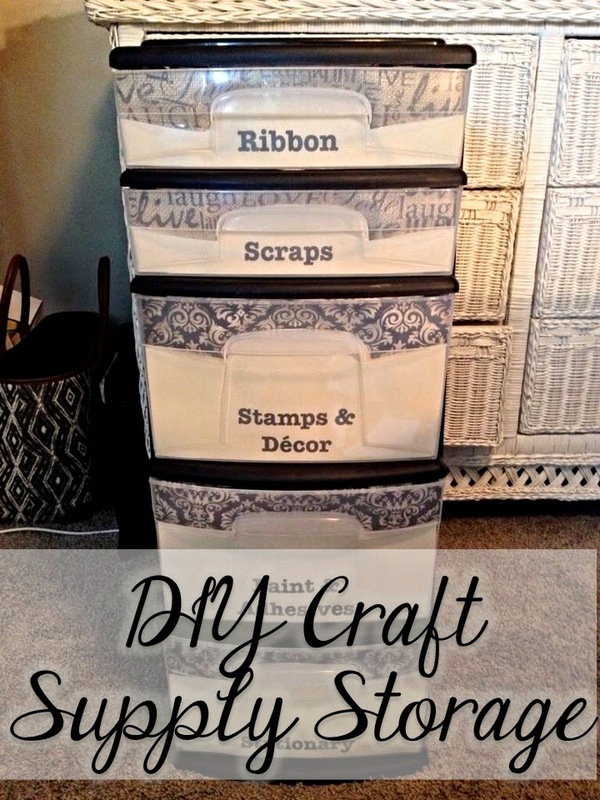 I have also seen it done with Mod Podge, which makes it a bit more durable, but also a bit more messy and time consuming. Either will work - just a preference on your end! After finishing the bottom portion of the drawer, you can either stick with the same shade of paper or change it up as I did to do the top. 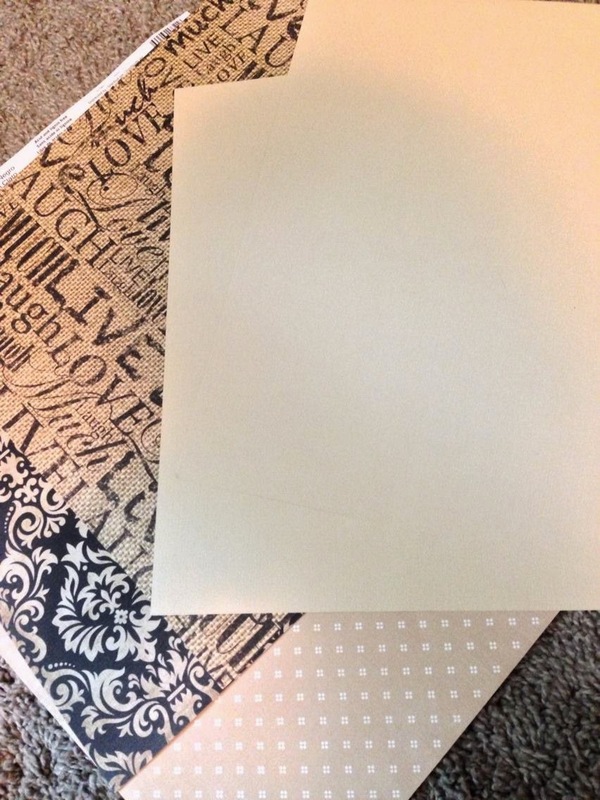 Once again, you can cut a template out of wax paper (this part is also shown in Maria's video) or go the "lazy mon" route as I call it like I did, and simply tape on a sheet that fits side to side. No one will know the difference as the bottom portion is already secured nicely in front of this piece and cut to size. It just depends how nice you'd like the back of the drawer to look. And there you have it. One drawer down, four to go. 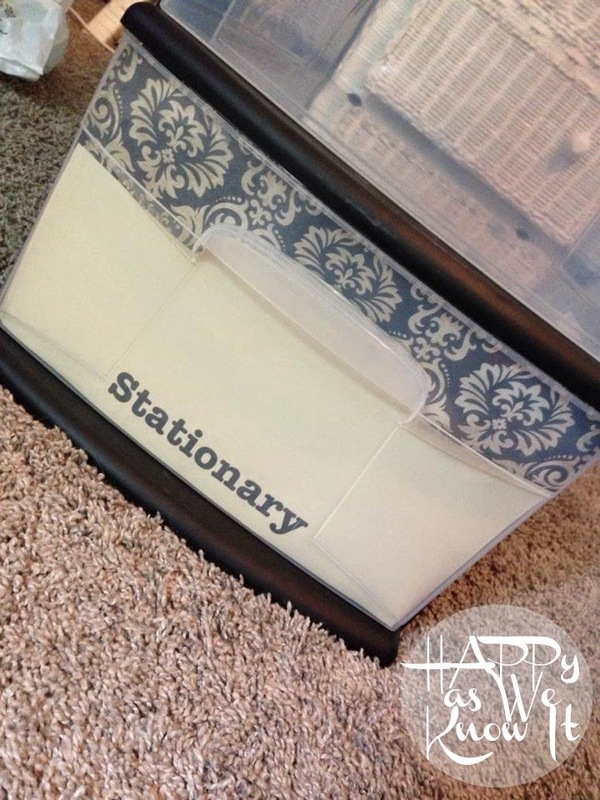 As you can see, I did add labels as well to the fronts of the each drawer by printing out the heading I'd like on each onto the scrapbook paper before cutting it to the size of the drawer. My drawers fit 12" scrapbook paper from side to side nearly perfectly, so I centered the word based on these measurements ahead of time. You may have to experiment with it a bit depending on how wide your drawers are. And finally a little before and after with the final reveal (with all five finished drawers). My supplies now have a proper home (that looks quite nice I may add as well). Easy, peasy lemon squeezy, and all in a short afternoon's work. 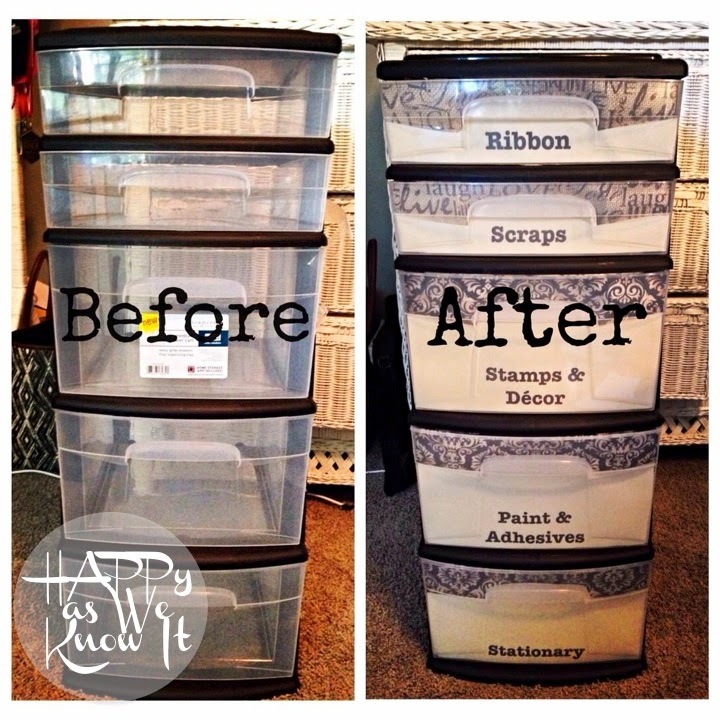 They are such a great and cheap way to organize! Glad you got some ideas as they truly are so simple to dress up!